The following is provided as general information, which may be of use to Wayne County residents. It is the responsibility of the taxpayer to inquire and file for any exemptions or deductions from assessed values. You must own or be buying under contract. You must live on the property the Year in which you file and it must be your principal place of residence. 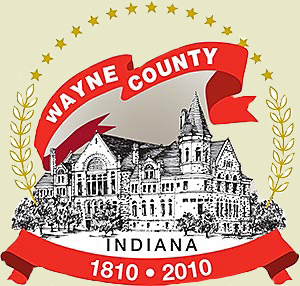 Contracts must be recorded by the Wayne County Recorder’s Office. 45,000 deduction from assessed value or 60% of total residential assessed value (whichever is less). You must submit the last five digits of your SSN and DLN and the state it is issued for both you and your spouse regardless of name being on deed. Can be combined with all other deductions. You must be a resident of the State of Indiana and only one mortgage deduction is allowed per person. Mortgage balance must be over $3,000 to get full deduction. If balance is less than $3,000, current balance will be allowed. The mortgage must be recorded by in the Wayne County Recorders office. Can be combined with all other deductions. You must be 65 prior to December 31st, of the year in which you file. Your assessment cannot be over $182,430. Your adjusted gross income cannot be over $25,000 (jointly) DOES NOT INCLUDE NON-TAXABLE Social Security. If you file federal or state income tax return, we must have a current copy of Tax return. Can only be combined with Mortgage and Homestead. Your assessment cannot be over $160,000. Your adjusted gross income cannot exceed $40,000 joint or $30,000 single(see above Over 65 for income tax explanation). Can be combined with all other deductions. You must be legally blind or disabled. We need a doctor's statement or an award letter from Social Security stating disability or blindness. Your adjusted gross income cannot be over $17,000. DOES NOT INCLUDE Social Security. If you file federal or state income tax return, we must have a current copy of Tax Return. Cannot be combined with Age Deduction. Tax Abatement slip or Certificate of Eligibility from the VA required. Your assessment (total real & personal) cannot exceed 143,160. Can be combined with code #2 Veteran exemption if qualified. Cannot be combined with Age Deduction. Tax Abatement slip or Certificate of Eligibility required. Unmarried surviving spouse may qualify. Can be combined with code #1 Veteran exemption, if qualified. Cannot be combined with Age Deduction. If you have received a Form 11 from your assessor's office and a notification of your eligibility to file for a rehabilitation deduction, you may obtain an application from the office of the County Auditor. NOTE: Pursuant to IC 6-1.1-12-2 deductions may be filed before DEC. 31st of the current year for the deduction to be effective for the following payable year. If any changes occur regarding the status of your deduction, it is your responsibility to call the Auditor’s Office to see if you need to re-file. If you would like assistance in filing for veteran's deductions, Wayne County also operates a Veteran's Service Office. The Veteran's Service Officer can be reached at (765) 973-9207. Please follow the links to the Indiana Code to find an explanation of these exemptions. Note the chapter (last two digits) of the IC code before you click on the links, as the office of code revision does not provide a URL for links within articles of code. You will have to scroll down to the appropriate chapter. Questions? Call the Auditor's office at (765) 973-9317. We'll be glad to help!